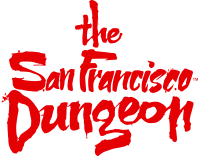 Upon entrance to The San Francisco Dungeon you and your group will enter the Descent. this is an elevator down to start your tour. During this journey the elevator floor will shake from side to side. For those who suffer from motion sickness please alert a member of staff before entering the elevator.